I've listed 19 attractions, voted on 1 place, posted 18 photos, contributed 2 places, have 464 friends. 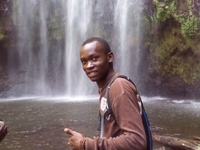 Ambrose likes to travel for swimming, hiking treking, climbing, biking, sailing, camping, surfing and wildlife safari! Ambrose interested in museums, art galleries, music events, archaeology, historical sites, language schools, cooking classes and yoga meditation! 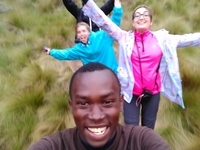 Tour guide, I love and i enjoy to travel to many different places in the world ...also i like trekking, climbing, camping and all type of adventure travel. Something about me To get to know me better this are 3 facts about me. 1:I believe in God. I have been more involved with church lately. God is inspiring. 2:I have a great family, Mom&Dad; and my young Brother. 3:I like to travel to many different places in the world. 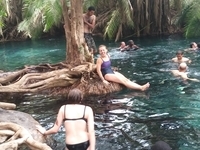 Travel highlights around my area I live in Kilimanjaro were is the center of tourism in Tanzania. 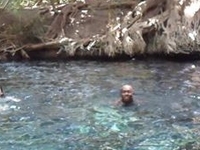 Around this area there is a lot of many tourist attractions this includes; Mount Kilimanjaro(the highest mountain in Africa), Cultures tours(Chaga hall of fame ,museums) Hot springs, Travelers I enjoy I enjoy to travel especial with a groups, doesnt matter where they are coming from. Also i enjoy to travel with crazy people people who are dont afraid and making funny. Ways to contact me 1741,Moshi Kilimanjaro, Tanzania.